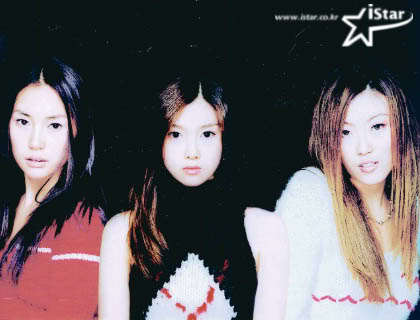 Kiss (officially K.I.S.S., as to distinguish it from the rock band), was a Korean pop female trio. Their first single, "Because I'm A Girl" was a huge hit in 2002, which can be attributed to its melodramatic video of the sacrifice one can make for love. This video spread like wildfire over the internet, becoming a very popular music video. This helped to launch the career of Kiss by sending the song to the top of the charts, and an album quickly followed. However, the group quickly disbanded amid reports that there was internal squabbling. * Vietnamese version: "No~i au muo.n mang" by Ung a.i Ve. * Spanish version: "Because I'm A Girl"